Mountain bike cycling on paved/unpaved/trails/off roads/ etc. 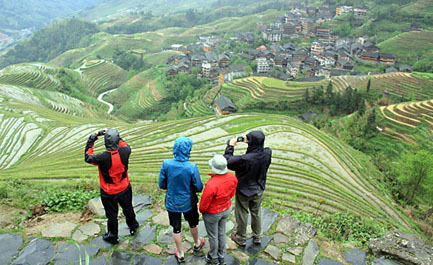 This tour is the best itinerary avoiding traffic and deep into villages and hidden scenery around Guilin. 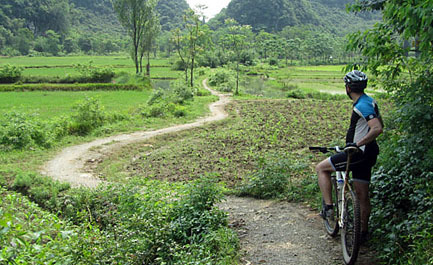 If you are skilled riders looking for a cycling in both the north and south part of Guilin, the cycling in this tour will not let you down. 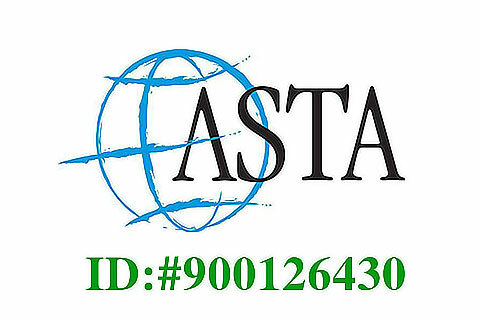 Standard and budget version of this tour are available. 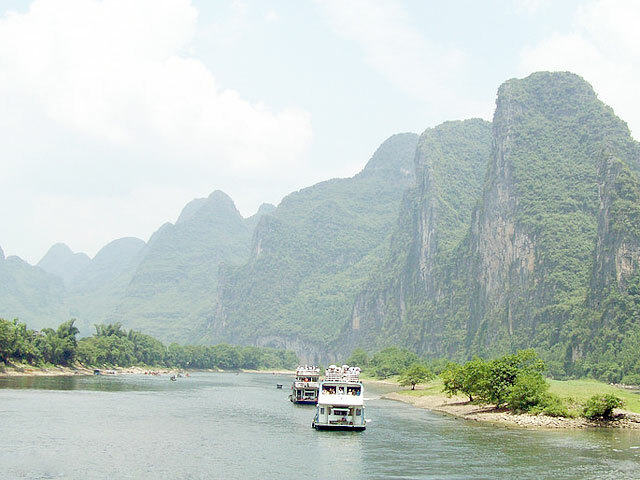 Your arrival of Guilin and enjoy dinner with tour leader. 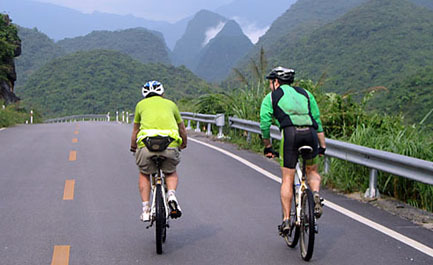 Cycling on peaceful roads from Guilin to Xing’an, with a 5KM climbs on half way, a proper and beautiful warming up, arrive in Xing’an where the Great Lingqu Canal located, enjoy leisure walking along the Water Street and Lingqu Canal Park. 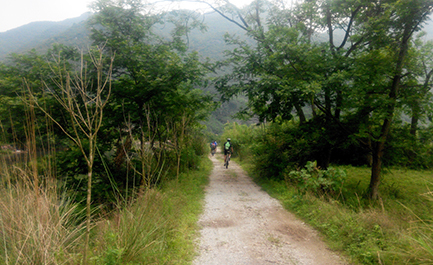 We cycle to Rongjiang in the morning from Xing’an by the provincial roads and the newly built Xing’an Greenway for bicycles, accompanied by the peaceful river of Lingqu canal. 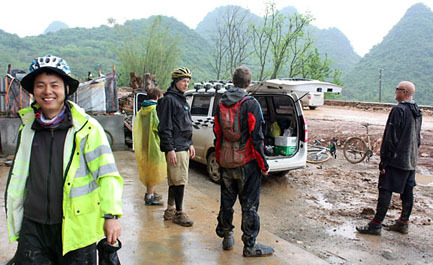 We will face a big challenge this afternoon cycling up hill on broken paved roads, a steep and continuing climb around 15KM then we cycle downhill on well paved asphalt road but facing many sharp turnings until arriving a poor but peaceful town named Jinshi. 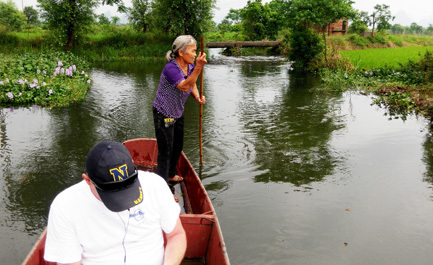 We live in a simple local guesthouse built along the beautiful river and enjoy our dinner with hospitable local people and the famous fructus momordicae Juice. After about 8KM cycling on flat between the valley, we have to conquer another big mountain, the road condition for climbing up is just-ok with some broken parts before getting to the top, the poor road condition will cause us more effects but we are rewarded with a silent world as there are only maybe less than 10 cars can be found on the mountain for this morning. 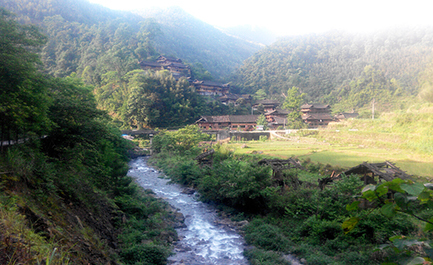 After lunch at Jiangdi, we bike on country road to Longsheng, passing over the hot spring scenic spot and many wooden houses of the Miao people. 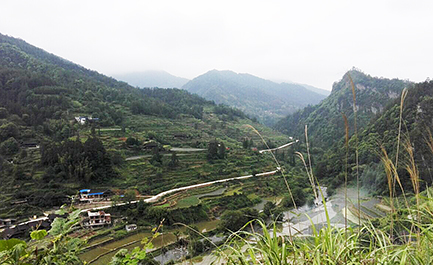 An inevitable biking on the main national road to the Longji scenic spot of 12KM is the only road to see the well-known terrace fields on ‘dragon’s back’, we cycle up for 9KM and arrive the Ancient village of Zhuang minority people, then we park our bikes and check in hotel. After lunch and simple visit of the village we will trek for about 2.5-3 hours to Ping’an village for a visit of the gorgeous scenery there. 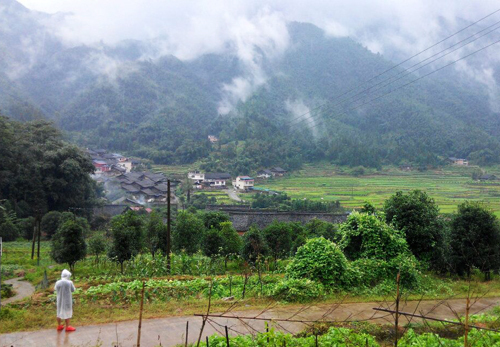 We stay overnight at the Zhuang village. 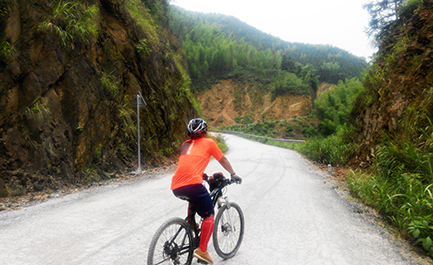 In the morning, we cycle down from the village on the mountain and then into a peaceful valley, climb up and down then back to the busy national road; we cycle on the main road for about 5KM then shift into another peaceful world on concrete road. 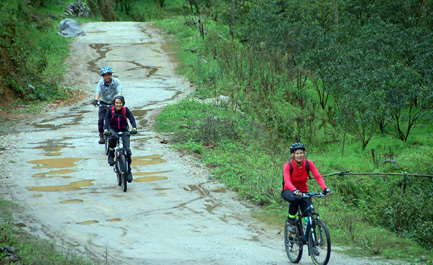 Another 4KM climbs on steep mountain is waiting for us, we get out of the mountain by biking along the brooks and river in the deepest part of the mountain, be careful when doing off road downhill. 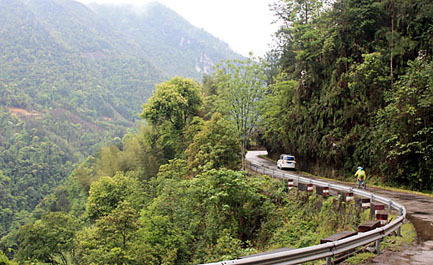 In the late afternoon, we are rewarded with much easier undulating roads along the Qingshitan reservoir, local villages and Krast landform gradually get into our eyes. 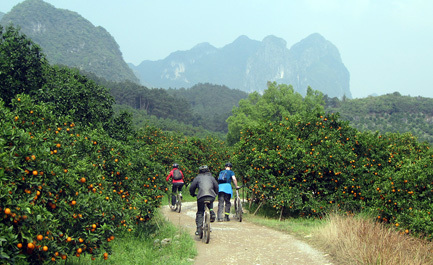 We cycle from paved road and trails among the valley, getting back to Guilin from the northwest, passing by the local attraction the Peach River and Reed Flute Cave, our leader will show you an exclusive route into Guilin, not missing every beautiful corner of the countryside of the city. 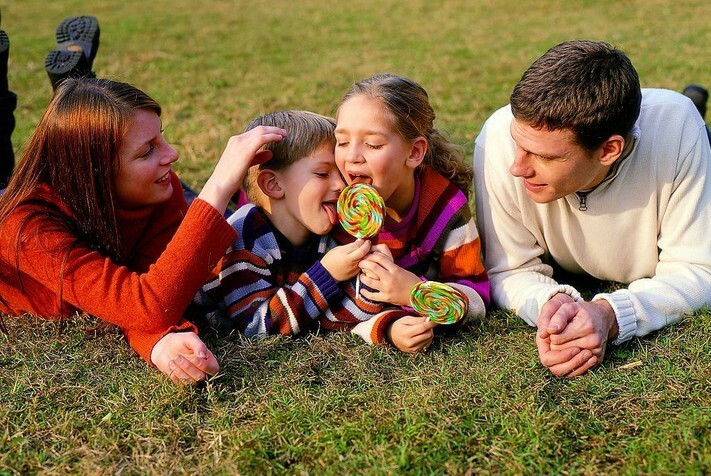 We will have a great lunch today then enjoy our free day of Guilin city. We have an easy and comfortable bike program today so everybody can get up late for more time enjoy Guilin city. 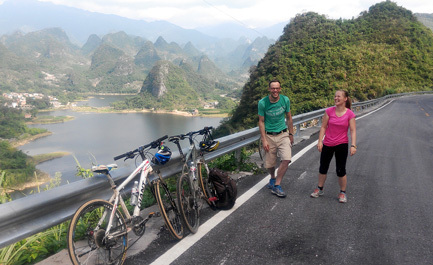 Nobody but only us will show you the real highlight trails cycling outside Guilin, we bike on hidden trails between many beautiful villages not commercialized, we cycle and see the real local life of farmers, enjoy the elegant water dams, brooks, bridges, rice fields. 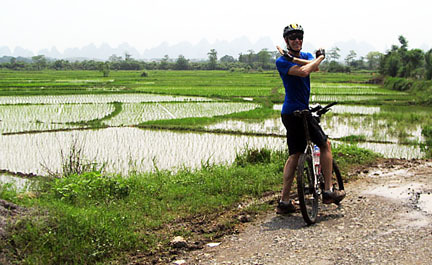 We have our lunch at Huixian town (Huixian Wetland Areas) then bike to Yanshan, a small town not far away from Guilin. Don’t forget to enjoy our biking trip today with more photos as we will bike among those Krast hills, most of the roads are flat but we will have some challenges on muddy road or macadam if it rains a lot. 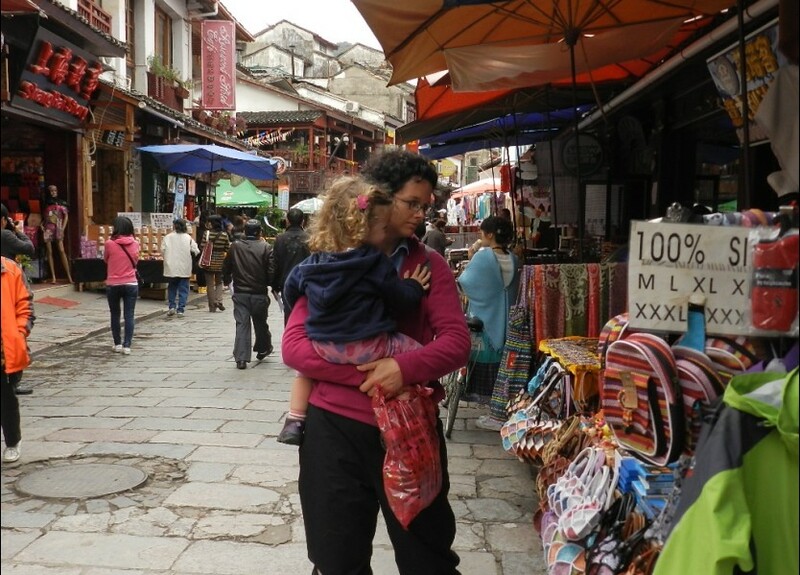 We see Old Street of Liutang in the morning and cycle along the Yulong Bridge and Yulong River to Yangshuo. 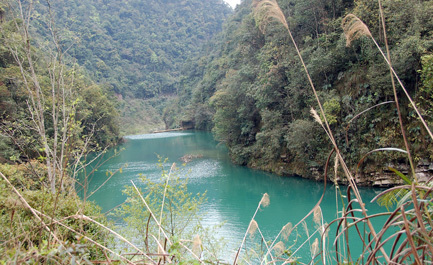 We will have a free half day at Yangshuo for your own exploring of the big town. We will arrange the excellent light show (the Impression of Sister Liu’s Light Show) for you tonight after your own dinner. 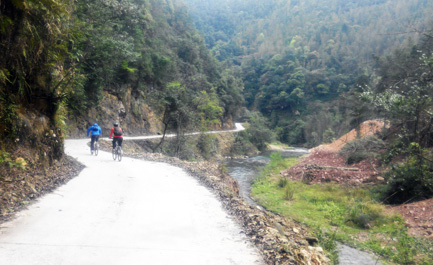 Our bike route for final cycling day won’t let you down as usual! 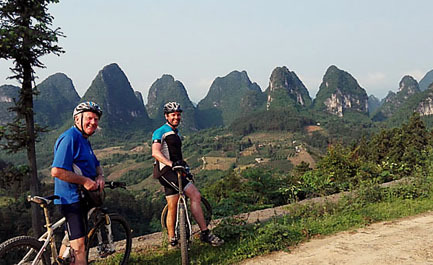 We bike over the big mountain and enjoy the perfect views, passing by the Xitang Reservoir and Daxu Ancient Town. We cycle back from Daxu from the Greenway of Daxu and the hidden trails among the villages, leaving the busy roads and annoying cars far from us. 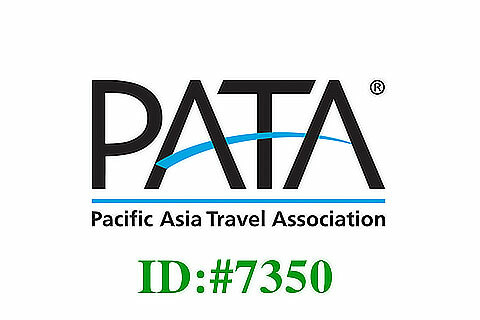 $1720 p.p ( 2 people ) Please enquire if you have more than 2 people. 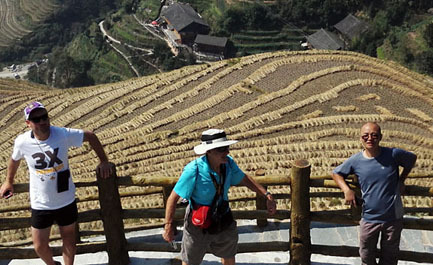 GuilinCyclingTours has very high standard on service and meals, therefore the cost of this tour is much higher than your expectation, so if you want a supper budget tours, please contract us and we will design the tour based on your budget. 6. Helmet is offered for free but we suggest bring your own ones and cycling gear.